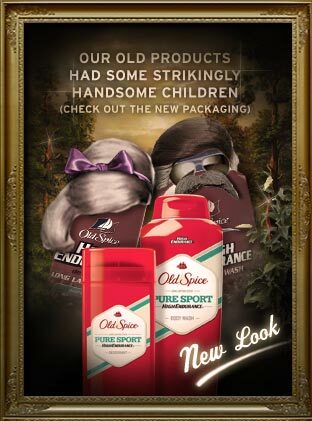 Old Spice deodorant has repackaged itself to reflect a cool new generation. Sure, you can buy Old Spice “Classic.” But. . but. . . that’s your father’s deodorant, right? This is not your father’s Old Spice-mobile. Now you can buy Old Spice DANGER ZONE. OOooooOooooo. If you’re the sporty type, try Old Spice GAME DAY. If you are a surfer dude wannabe, how about Old Spice FIJI or AQUA REEF or PACIFIC SURGE? Ladies, would you rather date a guy wearing Old Spice PLAYMAKER or Old Spice SWAGGER? I think the Swagger guy is a bit over the top, myself, but I wouldn’t leave my drink unattended around the Playmaker. If your guy has just come in from a sweaty encounter with a grizzly, make him put on a dab of Old Spice DENALI. If he’s wearing Old Spice KOMODO. . .hmm. Lizard on human love. . . I don’t think so. On the other hand, who’s sexier than Godzilla? I want that guy. Yeah, yeah, yeah–he doesn’t understand subject/verb agreement, but give him a break. He’s an elf!